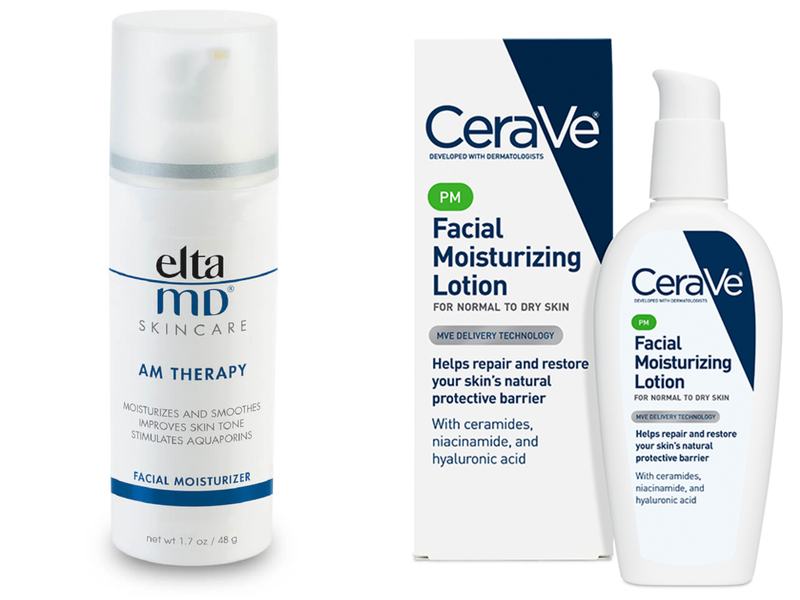 We spoke with three board certified dermatologists to find which skincare products are proven to work. Here are their top picks. Unfortunately, there is no such thing as a universal skincare routine. What works for one person may not work for another, and more often than not, finding the right cache of moisturizers and cleansers that will deliver clear, soft, and smooth skin comes down to the tedious—not to mention expensive–process of trial and error. But unless a consumer is armed with a degree in chemistry, it’s not easy to separate the good products from the bad–or at least over-hyped. A trip down the makeup aisle can be overwhelming, with dozens of choices for each step in a skincare regimen. Clever advertisements, fetching packaging, and dubious anti-aging claims helped U.S. consumers part with $6.6 billion in 2015, according to industry research firm Mintel, and that number is expected to grow 6.6 percent through 2020. Rather than wade through hundreds of dubious online reviews and decipher cryptic ingredients lists on bottles to cobble together an effective home esthetic program, Zwivel spoke with three board certified dermatologists to find the exfoliants, retinoids, antioxidant and other skincare products that say are proven to work and are recommended to their patients. Dr. Marnie Nussbaum is a Board Certified Dermatologist and Clinical Instructor of Dermatology at Weill Cornell Medical College. She has served as consulting dermatologist to the Melanoma Research Alliance, and is in private practice in the Upper East Side in Manhattan. Dr. Steven Greene currently serves as Clinical Associate Professor of Medicine at the University of Washington’s Department of Medicine in the Division of Dermatology, and is the Medical Director of Advanced Dermatology and Laser Institute of Seattle. He is also a Diplomat of the American Board of Dermatology, with more than 30 years of experience. Dr. Elizabeth Rostan is a Board Certified by the American Board of Dermatology with specialized training in the field of laser surgery and dermatologic cosmetic surgery. She is the Medical Director for Charlotte Skin and Laser clinic in Charlotte, North Carolina. Washing your face with a cleanser removes makeup, dirt, and other “impurities,” but may leave behind dead skin cells. This layer of cellular detritus can trap naturally occurring sebum (oil), clog pores, and harbor acne-causing bacteria. Even if you’re not prone to blemishes, cell buildup can take its toll. Over time, the debris accumulates on the surface of the skin and may dull complexion and deepen the appearance of wrinkles and fine lines. To keep skin looking fresh, many dermatologists recommend using an exfoliant to remove the epidermis and encourage cell turnover. Popular exfoliation routines include natural enzymes, light chemical acids, or manual tools such as rotating soft bristle brushes. Retinoids are also a form of exfoliant that has the added benefit of inhibiting oil production in sebaceous glands, which can be a bonus if you have oily skin but may cause redness and irritation on dry and sensitive skin. There are a lot of exfoliants from which to choose, but here is our panel’s short list. “SkinMedica’s AHA/BHA Cream offers low-level exfoliation but at the same time is moisturizing the skin,” says Dr. Greene. “This product contains papain–a papaya based enzyme which exfoliates the skin—and green tea extract, which calms the skin and has antioxidants to fight free radical damage,” says Dr. Nussbaum. 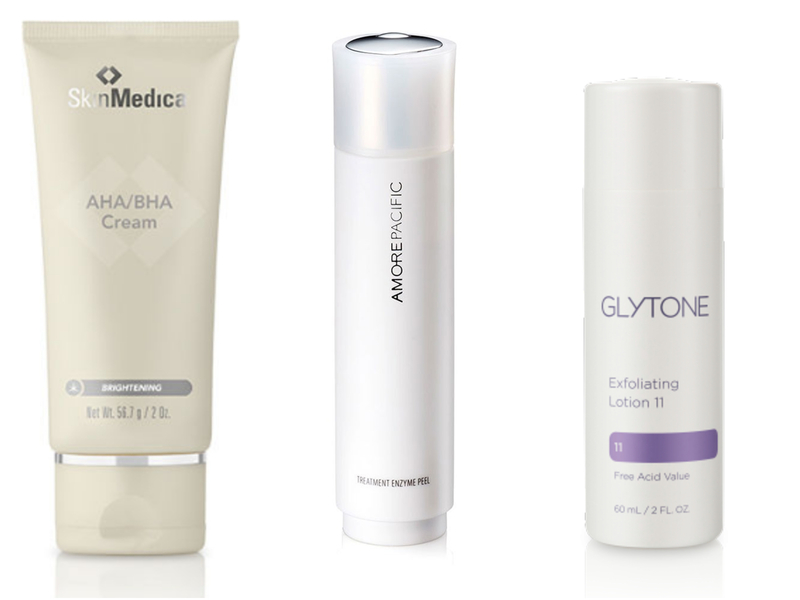 “Glytone exfoliating products soften the upper layer of skin so you have a glow and your skin appears less dull,” says Dr. Rostan. Skin is bombarded daily by environmental pollutants and exposed to ultraviolet light that breaks down collagen into destructive free radicals, causing the skin-plumping matrix to migrate away from the surface. The result: crow’s feet, jowls, and bags under the eye. Antioxidants are nutrients that prevent this wrinkle-inducing damage, and some forms will even help reverse it. Applied topically, antioxidants can help protect collagen from losing its structure, and they’re found in a range of skincare products. Green tea, Vitamin E, and alpha lipoic acid are popular anti-oxidants, but some nutrients have more anti-aging properties than others. Vitamin C is the only antioxidant proven to stimulate collagen growth. However, it’s a notoriously unstable ingredient and depending on how it’s formulated, some forms of Vitamin C may not be active or able to penetrate the skin, or be in concentrations that are high enough to be effective. For this reason, Dr. Rostan recommends purchasing antioxidant serums at the doctor’s office to ensure that the products are stored properly and designed to deliver results. 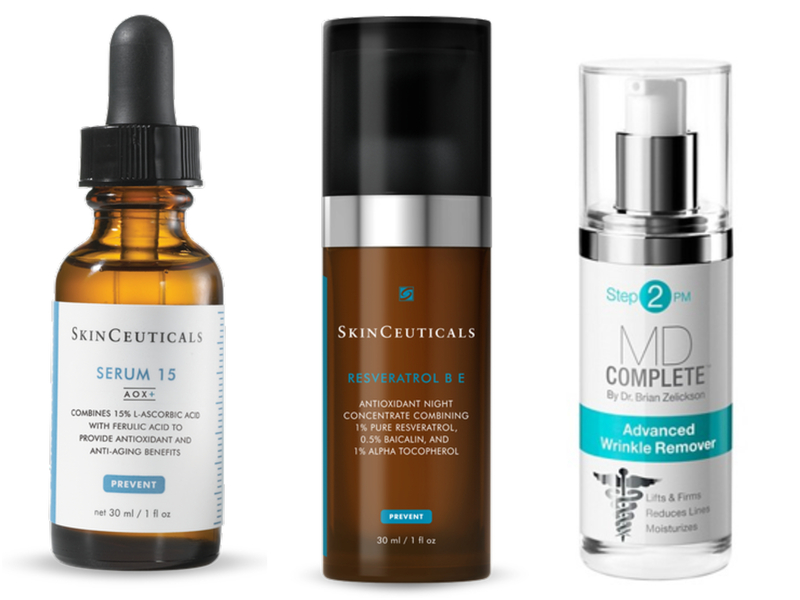 “If purchasing antioxidants at the doctor’s office is out of the budget, MD Complete is a medically formulated line that uses only ingredients that are proven to work,” says Dr. Greene. Dry skin can exacerbate the appearance of wrinkles by deepening the appearance of lines and making the skin tone look sallow and dull. Moisturizers help replenish water to plump skin and smooth fine lines, slow moisture loss throughout the day, and protect against environmental irritations such as harsh wind and dry climates. Glycerin, collagen, hyaluronic acid, and facial oils are ingredients that add and retain moisture, but their effects are temporary and cannot protect the skin from UV rays or reverse the signs of aging. For this reason, many moisturizers contain other active ingredients to deliver more than just a dewy complexion. 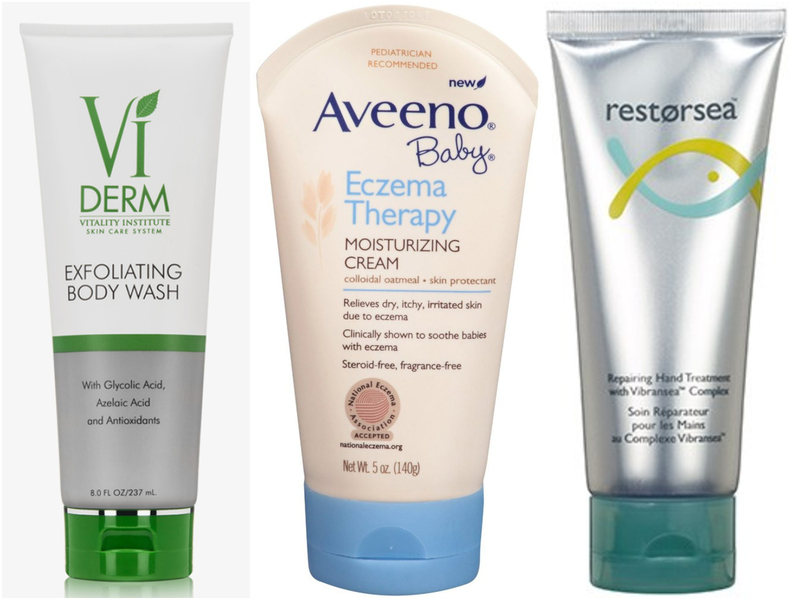 There is no shortage of effective moisturizers from which to choose, but these are the go-to choices dermatologists recommend. The best defense against aging is a good offense, and that means applying a product with a Sun Protection Factor (SPF) of 30 or higher every day to guard against collagen-wasting UV rays. Because the sun penetrates clouds, rain, and windows, dermatologists advise patients to apply SPF to their face and neck (and hands and feet, while you’re at it) every day—even if they don’t plan on leaving the house or office. But not all SPFs are created equal. All sunscreens have UVB protection, which shields the skin against sunburns, but only broad-spectrum sun block contains UVA protection, which guards against skin cancer and aging. Dermatologists recommend applying a broad-spectrum sunscreen of 30 SPF or higher every few hours. 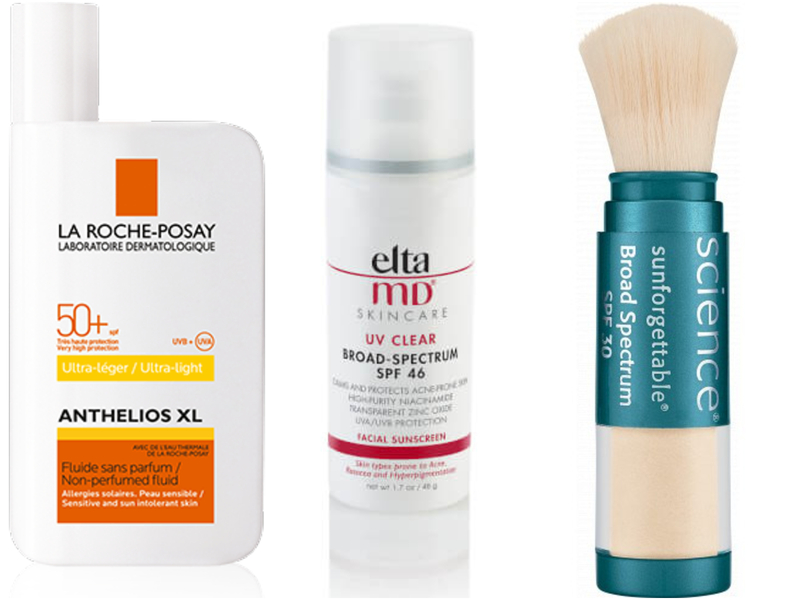 If you’re in the market for an effective SPF product that doesn’t leave a chalky film on your face, consider one of these dermatologist-recommended sunscreens. “Zinc minimizes the amount of chemicals used in the product,” says Dr. Rostan. “Sunforgettable’s sunscreen has a good application system with a number of different skin tones, and is really easy to reapply during the day,” says Dr. Greene. Tretinoin is one of the most popular anti-aging topicals on the market because it’s proven to stimulate the production of collagen, which is what gives skin its plump, youthful appearance. It used to be available only by prescription, and is best known by the prescription pharmaceutical brand name Retin-A, which is 2% tretinoin. However, less potent derivatives of this Vitamin A topical are available at retail stores. Its over-the-counter accessibility is a good thing for skincare because it no longer requires a time-consuming and potentially expensive trip to the doctor’s office to obtain, which for many people isn’t worth it since several insurance companies have stopped covering pharmaceutical-grade tretinoin for patients over the age of 35. It also means that this tried-and-true anti-ager is accessible to the masses. In addition to encouraging cell turn-over, retinoids at percentages between .25% and 2% are effective at limiting oil production. They are also often combined with other other wrinkle-reducing ingredients and moisturizers, which can help combat their drying effects and may be more gentle for people with sensitive skin, especially if they are using the product daily. 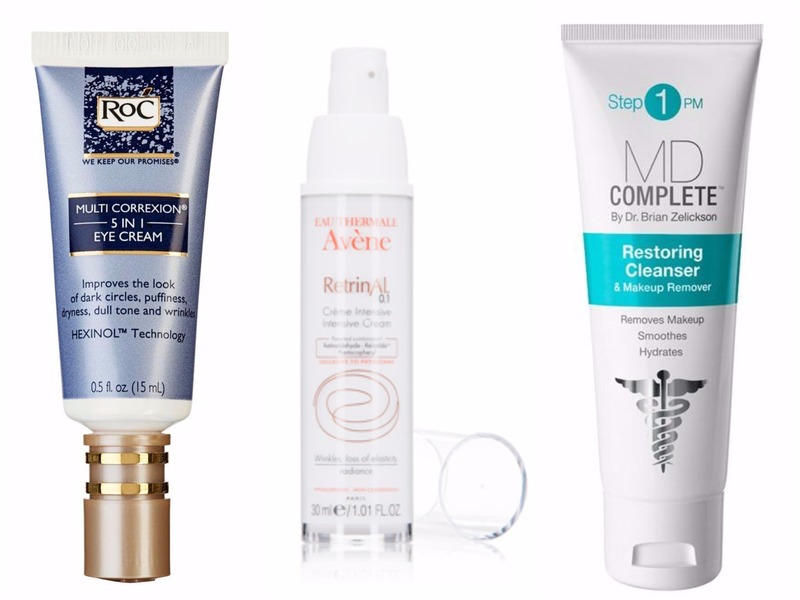 Although there are many effective retinoids from which to choose, here are some dermatologists’ favorites. The skin around the eye is the thinnest on the face, and it’s often where the first signs of aging appear. This is because collagen loss around the eyes can darken the skin’s appearance, and weak elastin may create sagging. Serums may offer more concentrated ingredients to combat periorbital lines and sallowness, and some offer ingredients such as caffeine that can help reduce puffiness. 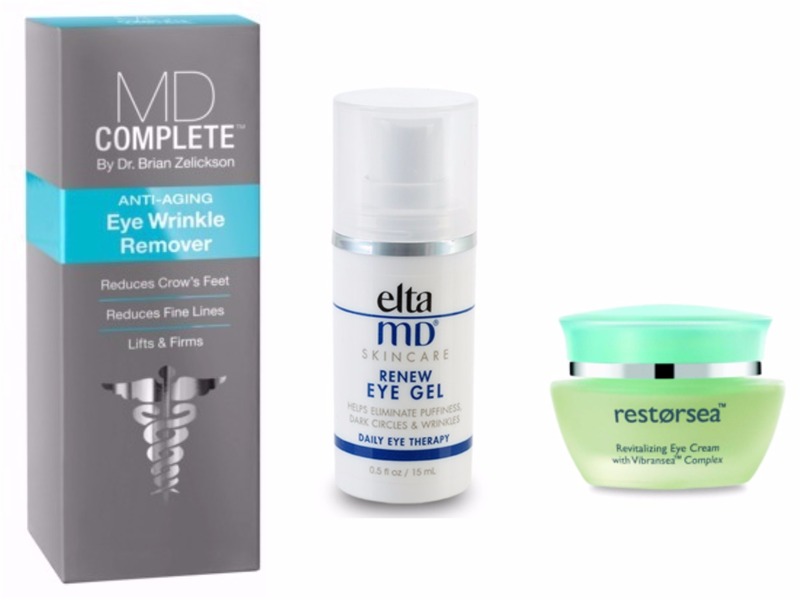 If you’re not sure which eye serum is right for you, consider one of the following dermatologist recommended products. Lips are one of the most prominent features of the face, but they’re also one of the first places to show signs of aging due to years of repetitive muscle movement and UV exposure. Another bummer: they’re also one of the hardest places to treat with over the counter products once the damage has been done. Studies of topical products that contain anti-aging ingredients haven’t shown that they deliver the same dramatic results as moisturizers and serums have to justify their usually high expense. Moreover, the most effective collaging promoting ingredients, such as retinoids and Vitamin C, can also be irritating, making the already vulnerable lip skin more sensitive to ultraviolet rays. The choices for lip treatment are endless, and you’ll find options at nearly every convenience, grocery, and retail store. 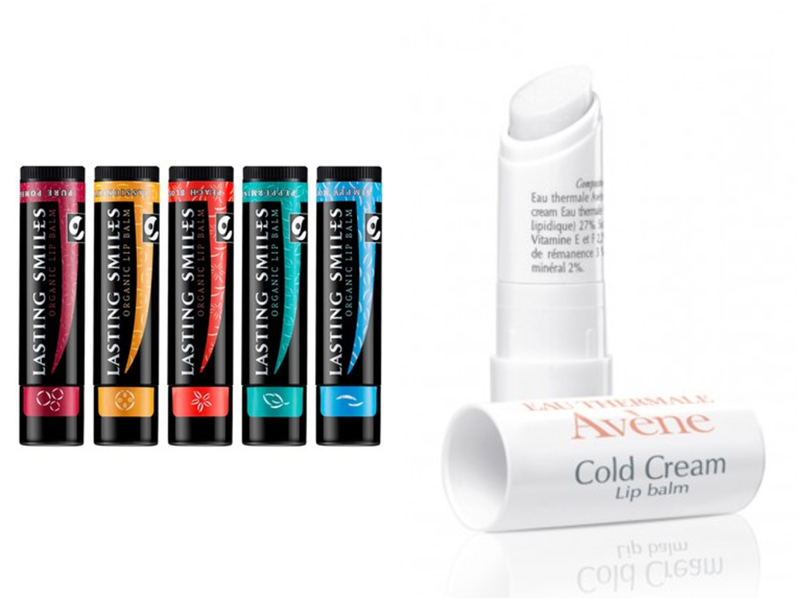 However, these are just some of the best products for lip care recommended by dermatologists. It’s not just the face that needs protection from the sun and effects of the intrinsic aging process–advance skincare is moving beyond the face to address splotchy skin tone, sags, and stretch marks on the whole body. Moisturizing will help make skin look less dry, but there are more effective body lotions that include anti-aging ingredients to help improve skin texture and reverse sun damage. Many body lotions now contain the same ingredients found in the anti-aging moisturizers, exfoliants, and serums that you use on your face. Here are a few that dermatologists recommend. “Use it for the treatment of keratosis pilaris—it really softens and polishes the skin in patients that have dry skin tendency,” says Dr. Greene. “It’s beneficial whether or not you have eczema,” says Dr. Nussbaum. “Restoresea’s hand treatment is really emollient and high in antioxidants because it has salmon roe, and can reverse skin damage,” says Dr. Nussbaum.